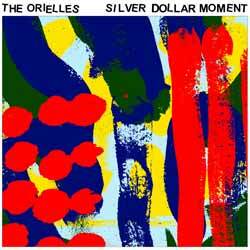 Silver Dollar Moment opens with 'Mango', a lovingly crafted retro '90s sounding Indie track which will whet your appetite and sets the tone for the rest of the album. It's hard to believe this is a debut album. There's a confidence here that usually only emerges once a band has established themselves and released at least one previous LP. Highlights include 'Sunflower Seeds', which sees the band take a slightly slower, more laid back approach. The result is an incredibly hypnotic and catchy track. In addition 'Let Your Dog Tooth Grow' is upbeat and boppy, while retaining it's Indie roots.